So: we suggest you 'Do Not Pass Go, Do Not Collect £200' – in Monopoly-speak – and head straight to the Tickled Pink Yuzu, Pink Beets & Watermelon Scrub, which we've been enjoying as the perfect, much-needed end-of-summer body reviver. 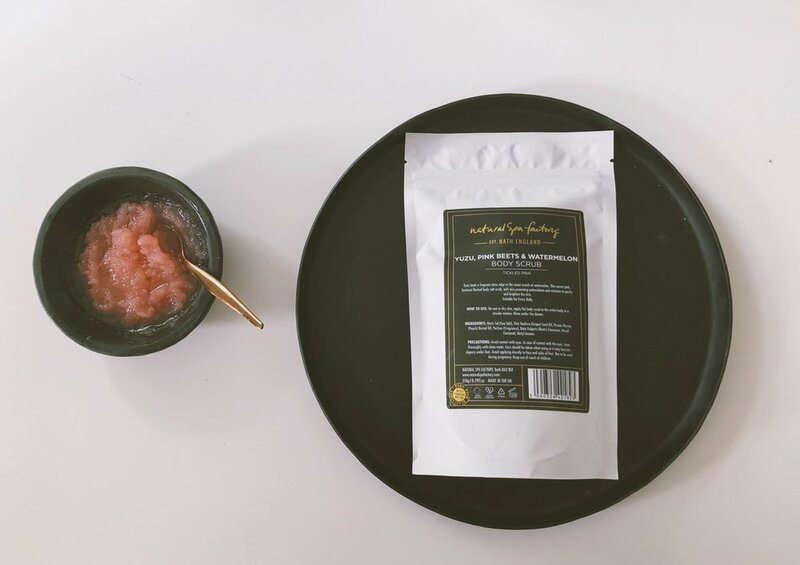 The silky-textured scrub is based on chunky salt granules, along with antioxidant beetroot pieces and powder, which gives a lovely pink-flecked look. These are suspended in a base of skin-nurturing grapeseed oil and peach kernel oil, leaving skin veiled in moisture and nourishment. It brightens the remains of a tan, and leaves skin bright and super-soft, too. We also love the super-fresh scent – a burst of citrus yuzu and mouthwatering (not-too-sweet) watermelon. So: need to dither. And don't dilly-dally, either!